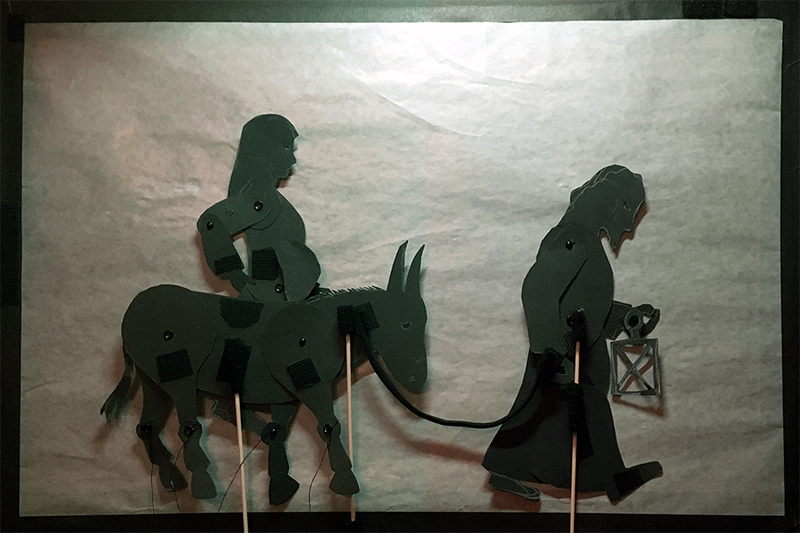 The following photos tell the story of the Nativity, from the journey of Mary and Joseph to Bethlehem to the arrival of the three wise men or “magi” on January 6. 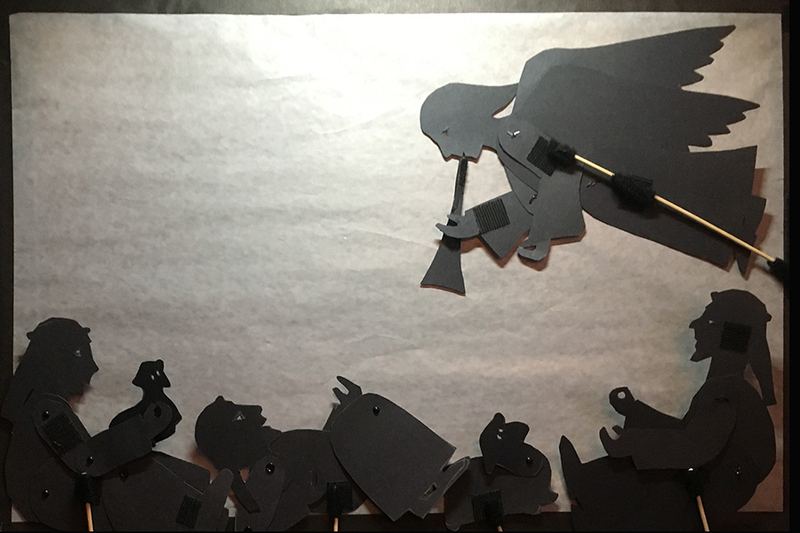 The photos, taken from the inside of a desktop shadow puppet theater, serve as just an example of how you can narrate and act out the story using the puppets that in our printable library. 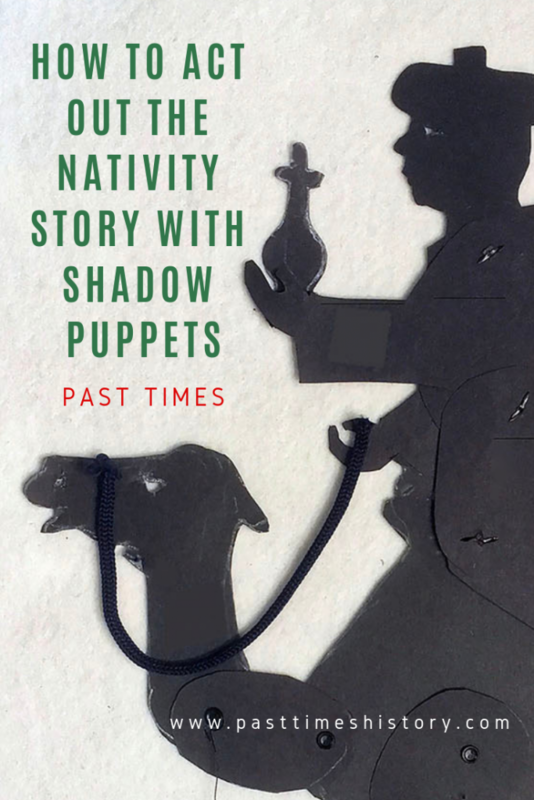 If you want to keep updated about new stories and puppets please sign up for our mailing list and follow us on Facebook! 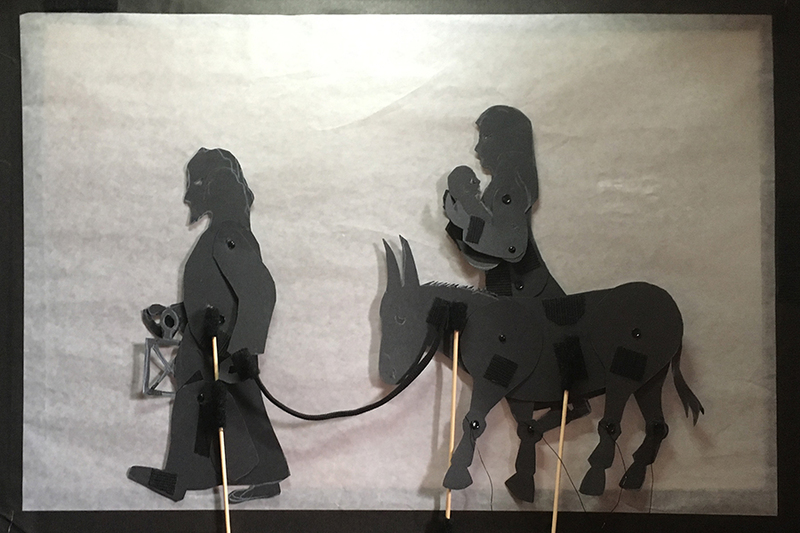 Joseph and Mary are traveling to Bethlehem to register for the census. Mary is expecting her baby soon. Mary is taking a break to stretch her legs. 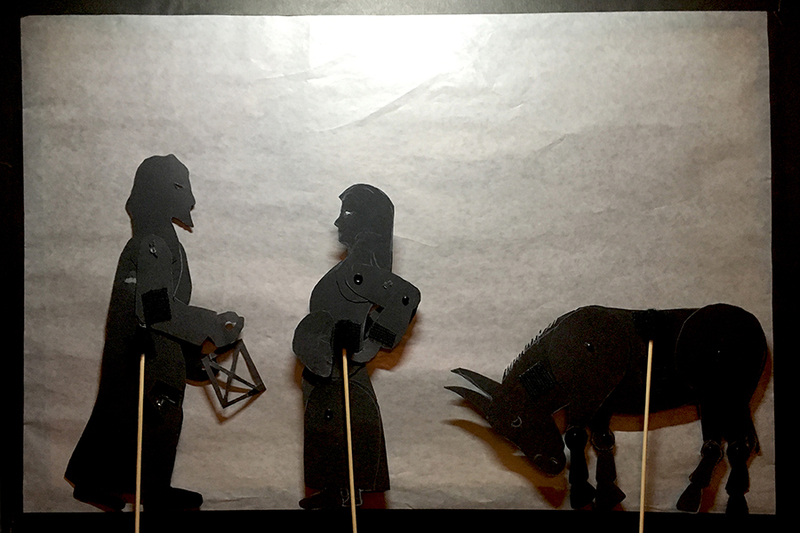 They are nearing Bethlehem. Mary feels that the baby is coming. 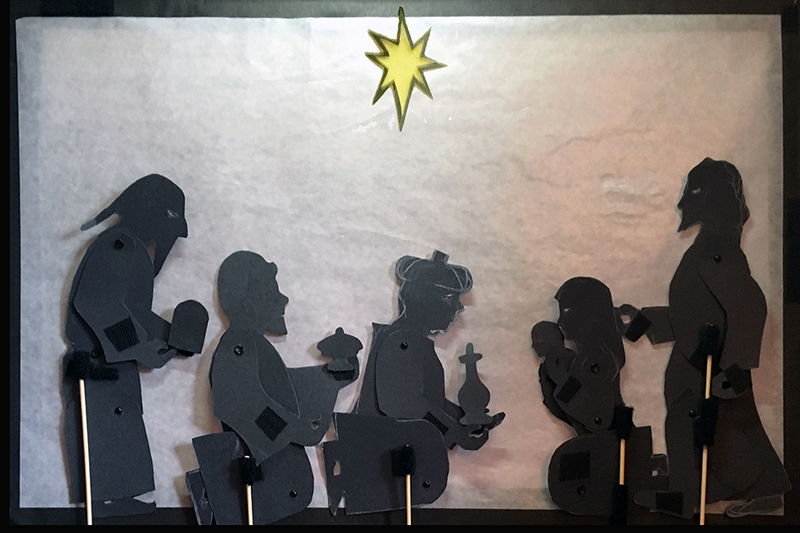 But the only room left in Bethlehem is in a stable. 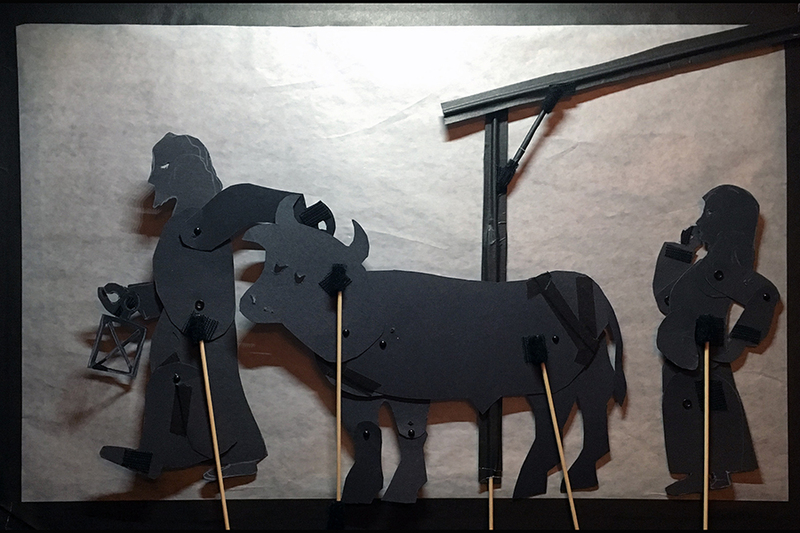 Before Mary can give birth Joseph first has to get the ox outside. 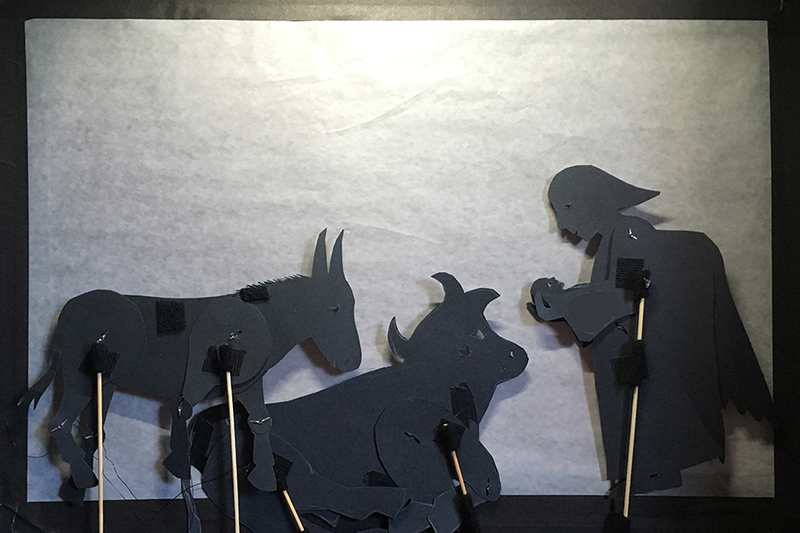 The angel Gabriel, who helped with the delivery, shows Jesus to the ox and the donkey before flying off to tell the shepherds. 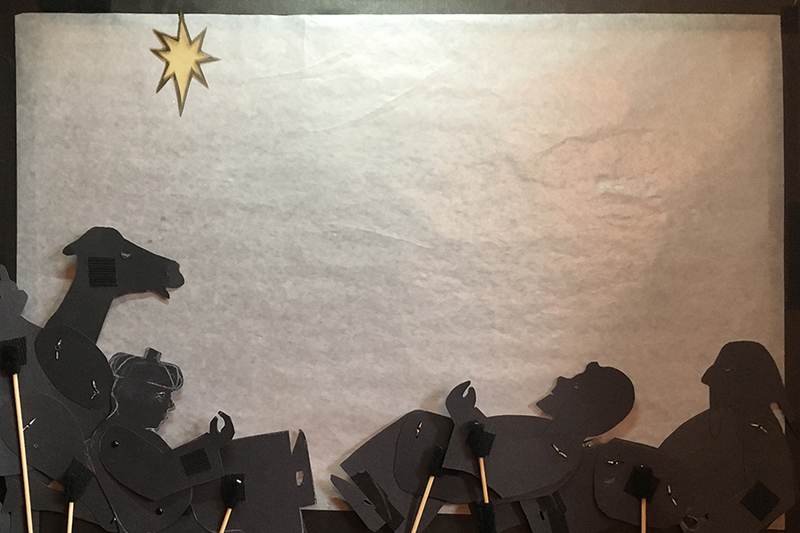 The shepherds are very excited to hear the news. 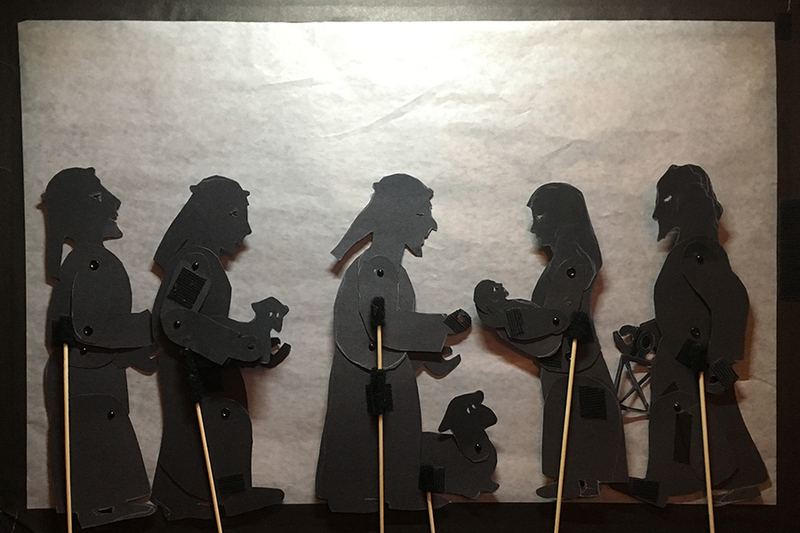 The shepherds adore the baby. 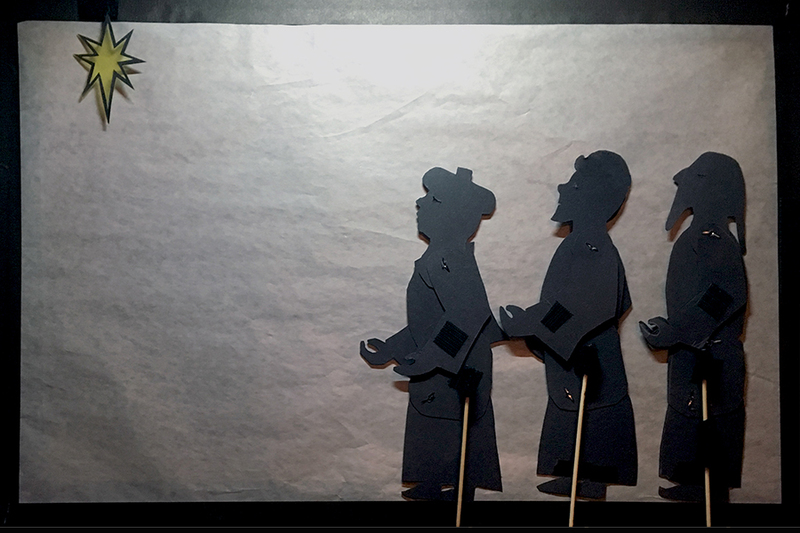 Far away three wise men see a star that tells them that a special child is born. 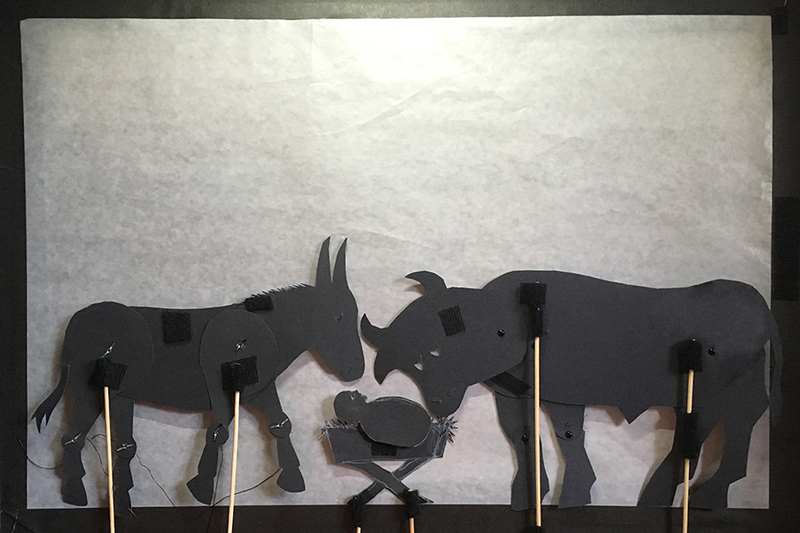 The ox and donkey nibble some hay while keeping Jesus warm. 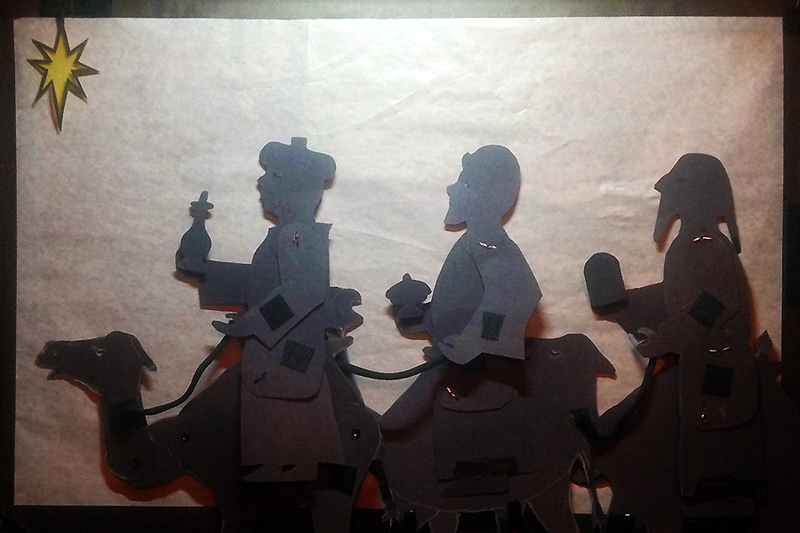 The wise men have started their journey to follow the star, bringing gifts for the child. Soon Mary and Joseph are able to take their baby home. For the wise men it is a long journey. But they do not give up until they find the child announced by the star. When they finally find Jesus they offer their gifts and give thanks.